During the month of Elul, we seek to rebalance through forgiveness from others. On Rosh HaShanah, we stand before G in awe and awareness. On Yom Kippur, we bow the head and humble the heart seeking, in our souls, forgiveness from G.
Four days later, with the fullness of the moon, we exit our own homes and to enter into the Sukkah, that tiny Mishkan, G’s temporary home. 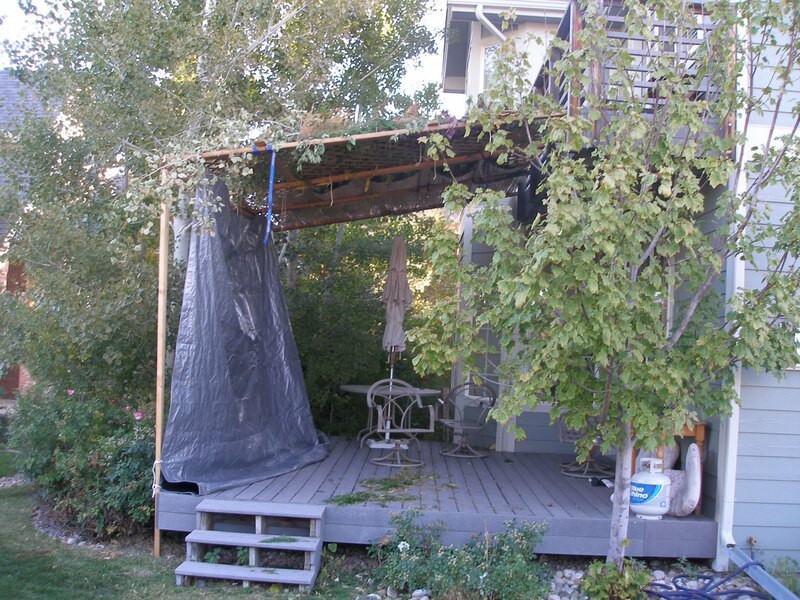 G’s home, as we shall see, is the Sukkah. When we want to be intimate with the Wholly One of Being, we tend to anthropomorphosize G, that is we talk about G in human terms. From Rosh HaShanah through Yom Kippur we say that G’s Left Hand, the side of Gevurah, has held us firm in the grasp of judgment. Yet, as soon as Yom Kippur ends, from the breaking of the fast through Simhat Torah we feel G’s embrace from the Right Hand as we enter into a period of joy and hope a period of grace, a graceful period. Our actions are the clearly visible works of our hands. Our thoughts form blueprints for our actions which follow. Our thoughts our not visible, they are concealed until made manifest by declaration and deed. As it is below, so it is above. The Thoughts of G are concealed from our eyes. They can only be uncovered when we see G’s ‘handiwork’. When we connect through Mitzvot, we become, as it were, the hands of G. Yet, underlying the Mitzvot given by G lay the concealed sacred Divine Thought. Concealed within all Mitzvot, within the very words that spell out those Sacred Connections and the very letters that spell out those words, are concealed sacred hints as to what is in the Mind of G. The letters and words of the specific Mitzvot of Sukkot teach us the Sacred Meanings that are imbued by G.
The secret of the Sukkot holiday can be found in the word Sukkah itself. If we play with the word Sukkah we can find the holy Name YKVK and more. The numerical value of the word Sukkah (Sameh, Vav, Kaf, Hey) is 91. The two letters Kaf and Vav in Sukkah numerically equal 26. This is the numerical value of YKVK . When 26 is subtracted from 91, the remainder is 65. 65 is the numerical value of the term for G, Adonai. Together, in a sense, the word Sukkah spells out the sacred, ineffable name of G and the term we hear so often when we see G’s name, Adonai. These two share a special and sacred relationship. Adonai is the Name we use to call upon HaShem. YKVK is in mind whereas Adonai is in speech. Whenever most Jews see the YKVK we say Adonai. The sacred Name YKVK is the inexpressible, concealed potential, the “I will be” that G tells Moshe to say is G’s name in Exodus 3:13. The term Adonai expresses a manifestation of the concealed “I will be”. When combined therefore, YKVK and Adonai express the union of the Divine potential and manifestation. In the realm of the Sefirot within Kabbalah, the Name YKVK corresponds to the six Sefirot (Hesed, Gevurah, Tif’eret, Netzah, Hod, and Yesod). Together these six are called Zeir Anpin, ZA, the Small Face (Zeir Anpin is Aramaic is the partzuf [profile] of the midot, corresponding to the emotive faculties of the soul. In general, the concept of the ‘finite’ is identified with Zeir Anpin). ZA is that Face of G unseen in our universe, yet is the source of all things happening here. It is this Face of G that is seen in the Heavens. The Face of ZA is centered on the Sefirah Tif’eret, which is the supernal Heart and source of the written Torah. The term Adonai, on the other hand, relates to Sefirat Malchut, the Shehina. The Shehina is also called Nukvah the feminine of ZA. It is through the Shehina/Malchut that ZA is manifest here in our physical universe. The Shehina is the life force that gives rise to all forms in the physical universe. The Shehina is the mothering, dwelling place, understanding of G. It is that comfortable feeling we get when we are doing the right thing at the right time in the right way. It is our supernal hug. Shehina is the nesting feeling of comfort in the laws of nature that are part of our everyday life and our understanding of the universe. The Shehina creates nature, it is related to Gaia spirit into which Zeir Anpin flows and through whom it is made manifest. As such, Nukvah is the proverbial partner, the Bshert of ZA. The two must be in union for the sake of the continuity of the universe. Without the union of ZA and Nukvah, our universe would revert back to the cold primordial soup void of any life and consciousness. ZA and Nukvah must be in a state of continual union in order for the supernal abundance of Divine energy to flow into the matter of our universe. Life is vibrant and ever-flowing. Torah is a paradigm for life understanding. We interpret and discover meaning in as we play among the black and the white letters of Torah. As ZA is shows us the general forms of all what is to be, Nukvah provides the details. “As it is above, so it is below.” This is the mystery of the written and oral Torah. ZA manifests the written form of the Torah, etched and engraved within the holy letters. Nukvah breathes into those letters and gives them their meaning and parameters. It forms the sandbox in which we play and learn and grow. It is the oral Torah that gives form and substance to the written Torah. And the Oral Torah is more than the written word of Talmud. It is that which flows through all who delve and dive into the sandbox of Torah study. The two together are like loving partners, incomplete one without the other. In Kabbalah, ZA is also referred to as the Wholly One of Being. Nukvah/Malchut, as we have said is referred to as HaShem’s Shehina. The union of ZA and Nukvah is thus the union of the seven lower Sefirot that balance the Active/Passive, the Giving/Receiving principles in creation. It is part of the Yin and Yang the IN and YO within Judaism. This is also referred to as the connection of the spiritual realm and the physical realm, the metaphor of the Heavens and the Earth. When we open our eyes and our hearts and our souls, we can see the relationship of Written and Oral Torah. We do not express a union of the Wholly One of Being and Shehina For G is not one made up of parts. But what flows from G becomes duality in our world, in our lives. We say that we bring G into the physical realm through Shehina through the way of Mitzvot. In reality, Mitzvot are the way of awareness of G felt through the prism of Shehina. Again, by playing with the letters of Sukkah, we can find revealed this concept, the concept of universal harmony and continuity, the “Thought of G” manifested in our actions. Sukkot lasts for seven days. These seven days correspond to the unity of the six Sefirot of ZA and Sefirat Malchut of Nukvah/Shehina. These seven days unite the supernal Sefirot and radiate upon us their Ohr Zarua, their supernal light. Yet, as with all things in the physical world, one must be in the right place at the right time doing the right thing in order to receive that which is to be received. The right place is the Sukkah, and the right time is the seven days of Sukkot. On each of the days the radiance of one of the seven Sefirot is revealed. On the first day, the Sefirah of Hesed is lights our way in the Sukkah. Day two, the Sefirah Gevurah is made manifest. On the third, Tiferet and so on. We invite seven male and seven female of our sacred ancestors to Represent the sefirotic energy of that day. As energy can become matter we take the energy of each Sefirah and manifest it as the matter of our holy ancestors. We call this spiritual energy matter transference Ushpizin (the guests). These are the sacred souls of the seven fathers and mothers of the Jewish people, each one of whom embodies one of the Sefirot and its energy. On each night of Sukkot, we invite the appropriate guest couple. Indeed, a special place (a chair) is actually prepared for the reception of this presence. This invitation can be simply symbolic or it can be much more. With meditation with open minds and hearts and hands and souls, a we can feel the essence of the soul of the Ushpin (guest). The essence of the souls of Avraham, Yitzhak, Yaakov, Moshe, Aharon, Yosef and David come to us and bring with them an element of the manifestation of the Sefirot Hesed, Gevurah, Tif’eret, Netzah, Hod, Yesod and Malchut. Since the male influence has to do with tradition and the female, creativity, there are many different ideas about which of our mothers are invited. For me they are Miriam, Leah, Hannah, Rebecca, Sara and Rachel. Just as with the men, we need to look into the stories of the mothers of Israel to find the hidden relationship to each Sefirah. The essence of these Ushpin guests and the Sefirah energy they bring with them may be absorbed into our souls, causing us great spiritual elevation. Traditionally, an Ushpin can only manifest at this special time of the year, the full moon of the seventh month. Like the moon, only when Yisrael is in her fullness can her fathers and mothers come and bless her. Yet, the blessing that comes in this time can only come through the proper receptacle. This receptacle is the Sukkah. Our interpretation of the flow of G into the G field that we call ZA is activated in us through our actions in the Sukkah (the Sukkah becomes in a sense the Huppah or wedding canopy)) for seven days. Through the fruity, earthy branches of the roof of the Sukkah we can see the stars. The reality of our Assiyah world of action twinkles. It reminds us of the Briyah the world of creation. As we repose, we pose the questions of our G field, our spiritual dna re-membering the first big bang, G, by means of a beginning creating all, from nothingness to the energy matter dance found in largest galaxy and the tiniest quark. We do not ask the when or how or where questions, that is for scientists seeking facts. We are here to experience truth. We are here to experience the ineffable Who and the sacred Why. We experience the Wholly Oneness of Creation. We see the stars through the branches of the Sukkah, feel the breeze through the frail and fragile strength of the walls and taste our food unique because of the awareness of time and space and spirit. We touch and are touched by the Yetzirah realm, the world of formation. For we have built this Sukkah and in it we connect with all Sukkot in time and space. We feel the earth under our feet, and see the stars above our heads and feel this open box of sanctity, our Sukkah. The words of G to the first humans resonate in a new way. “Go down to the fish of the sea, the birds of the air and commune with them, be one with the earth.” The Sukkah reminds us that our physical forms, fates and fortunes are always transient. Our souls poured into our limited bodies to learn lessons are touched by the by the work of building and of being in the Sukkah. And sometimes if the longing is right, we can let go and find, just for a just a moment that total Yehidah oneness with G as we disappear within the realm of Atzilut, of G’s emanation. Dwelling in the Sukkah these seven days offers us a deep spirit connection. Yet there is more to this special time than the Sukkah itself. There is also the mitzvah of the Arba Minim, a further opportunity for Sacred Connection. We take three hadasim (myrtle), two aravot (willows), one lulav (palm) and one etrog (citron) and wave them as a sacred sword, cutting away the knots of separation from HaShem. This ritual also hideswithin it mysteries for us to unravel. 4. Etrog (spelled alef, tav, resh, vav, gimel). the three Sefirot Hesed, Gevurah and Tif’eret. The two aravah branches are Netzah and Hod. The lulav is Yesod and the etrog to Malchut. Seven days and seven parts to the Lulav/Etrog both correspond to the seven Sefirot. The six branches are held in the right hand and the etrog is held in the left. Tradition teaches us to hold the four species together with the etrog. We are bringing the holy Bshert into wholly oneness, ZA and Nukvah, the potential and the manifest, the spirit energy and spirit matter coming together. By playing in the sandbox of Gematria we can discover for ourselves, through the letters of the names of the four species, how they too serve to create the unity of ZA and NOK thus maintaining the flow of blessing from Heaven to earth. The final letters of the four are samekh (numerical value of 60), hey (numerical value of 5), bet (2) and gimel (3). Together these add up to 70, the numerical value of two important Hebrew words, sod (secret) and yayin (wine). Wine is always the symbol of blessing and joy in Torah tradition. This is why wine is the prime element in Kiddush, Havdalah and every Simha (joyous occasion). We always celebrate over a full cup of wine. The Sod is that wine is a symbol of bringing the physical and the spiritual together, the ZA and Nukvah. Grapes are brought forth from vines. Human intervention makes the grapes into wine. Wine is used for Kiddush, part of the process of elevating earthly time into sacred moments. The four species too are like our Kiddush wine for the holiday. With them do we celebrate the union of Heaven and earth, spiritual and physical, energy and matter. With them do we celebrate the sod, the secret of the union of ZA and Nukvah concealed within tradtion and ritual, made manifest through our actions and interpretations. We celebrate revelation of inner meaning of Mitzvot, sacred connections. At its highest level, observance is breaks the bubble of symbolic gesture. We become G partners in the process of creation and the restoration of the state of harmony and balance between the worlds. The remez/ key clue, the hint to finding that highest level is found in the names of the four species. The initial letters of the names of the four species (hey, ayin, lamed, alef) numerically equal 106. 106 is a special number, the value of the phrase recited daily in the Shema “bchol levavecha (heartfully). How then do we reach the highest level, participation in the process of creation and the restoration of the state of harmony and balance between the worlds. We reach that level by fulfilling the Mitzvot of Sukkot (Bchol Levavecha), heartfully. 106 is also the numerical value of the word hamelucha (G’s sacred council). When one performs the waving of Lulav and Etrog as the spirit warriors sword, Bchol Levavecha, heartfully one is slicing through the ego barrers to the Heaven realms. Traditionally this was termed the ‘ohl’, ‘yoke’ of Heaven. The Hebrew word for yoke (ohl, spelled ayin vav, lamed) is also 106. When we act heartfully, we find ourselves in council with the Wholly One of Being. 106 is also the numerical value of the phrase higiyon lev (understanding heart). Understanding is always said to be an attribute of the heart and not the mind. One who observes this sacred connection, the mitzvah of the four species heartfully, cultivates an understanding heart with which is another remez/keyclue to understanding the mysteries of the Torah. How beautiful it is to seek the mysteries of Torah. And guess what! The Hebrew word for beauty is yofi, also numerically equal to 106. The observance of the mitzvah of waving the four species, when done heartfully points to the incredible heights and lights of spiritual life. And in more Gematria games, the name lulav itself is numerically equal to 68, the value of hayim (life). When we wave the four species, we wave them three times in each of the six directions of the earth, south, north, east, up, down and west. Each cycle thus contains 18 waves. 18 is the number of hai (life). We repeat this procedure four times during the Hallel prayer. Four times the 18 equals 72, the numerical value of the word Hesed (compassion) the highest of the seven lower Sefirot. By bringing the spiritual together with the physical, by joining heaven and earth we bring compassion into our lives and into our world. The Sukkah, the four species and the Ushpin are powerful teachers, with motivation and meaning. The Sukkah teaches us of YKVK/Adonai, the potential and the manifest. The Schach brings to the fore, the four realities that we can experience by living the sacred connection the Mitzvah to sit in the Sukkah. The Lulav and Etrog reinforce the teachings of the 7 guests, who come to connect us to the 7 Sefirot of creation and to make us one with the spiritual and physical reality of life. The Lulav and Etrog point us in the direction of heartfelt involvement, to sit in council with the Wholly One of Being. When we perform these sacred Mitzvot with an enlightened spirit, that is to say heartfully, we set in motion a series of spiritual occurrences far beyond what our minds can imagine. We create a conduit of potent spiritual energy that comes down to us here on earth. This occurrence is celebrated as a separate event and holiday. This is Hag Shemini Atzeret, the eight day. On this day, the union of ZA and Nukvah are complete. On this day, they ascend to the spiritually highest lofty places in the invisible worlds of Atzilut. Not a bad way to spend a week, when you think about it!